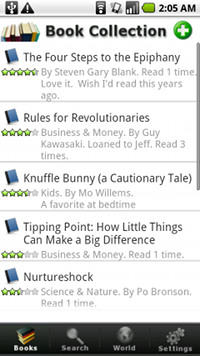 Keep track of your books along with personal ratings and notes, which you can share with others or keep private. 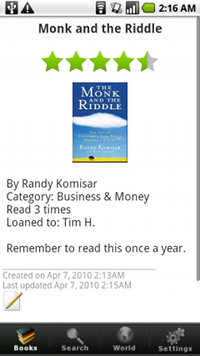 • Take a picture with your phone to go along with your book rating and note. 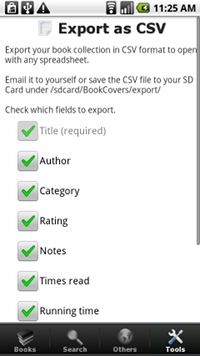 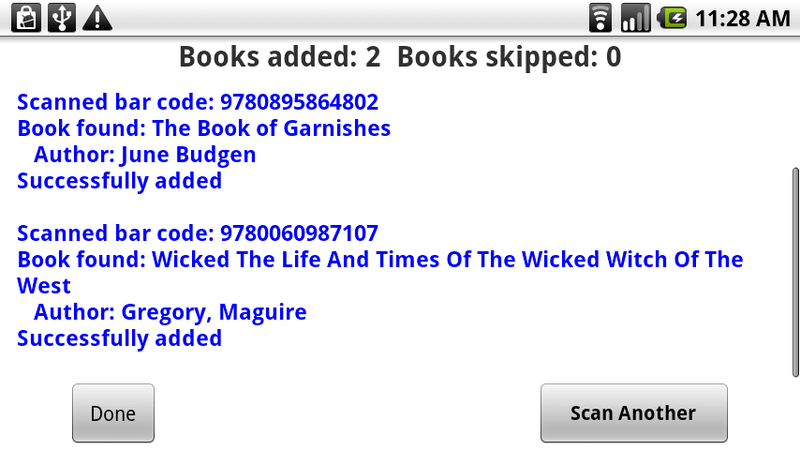 • Export your book collection info in CSV format and save it to your phone's SD Card or email it to yourself. 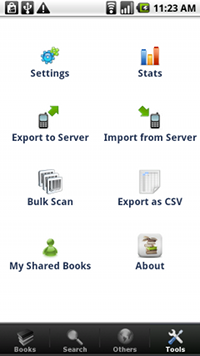 • Backup your book collection info to the server. 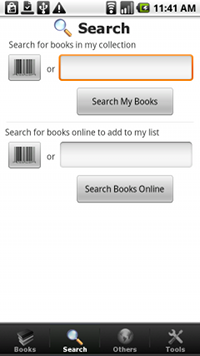 If you lose your phone or upgrade to a new phone, just import your collection to the new phone so you don't have to re-enter everything. 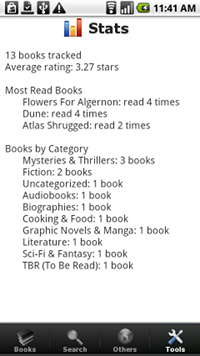 • Track statistics about your book collection like Total Number of Books Tracked, Average Rating, Most Often Read, Number of Books Tracked by Genre.